Speech Technopolitics 5: Can Artificial Intelligence Save the Climate? This was the fifth edition of Technopolitics. It has been five years since I founded this event. It was my intention to spread my passion for technology and politics and to close the gap between them because year after year technology is taking a bigger part in society. I wanted to wake up some politicians to prepare our country for the technological revolution. And it has been fruitful. On a political level there have been some positive changes in Belgium. Five years ago we didn’t have a digital agenda in Belgium. Five years ago our government did not have a plan for new technology. Last week the government launched an Artificial Intelligence platform. Like I said, a positive vibe has entered politics. But a long way is still ahead of us. When it comes to 5G for instance, we all know that political standstill still needs to be beaten. We also need more political parties to engage in technology to make sure that society is reached on a broader level. 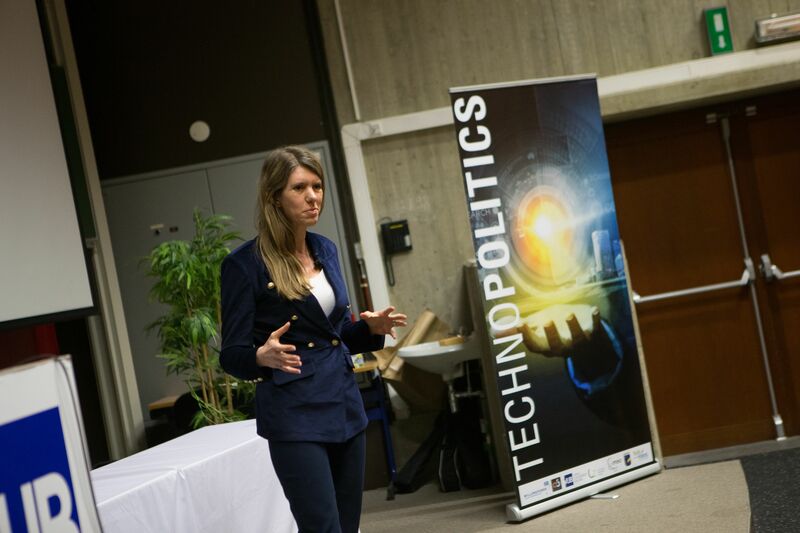 At Technopolitics, we had many interesting topics and speakers so far. Remember autonomous cars, car sharing, crispr cas, blockchain, bitcoin, 5G. These were all discussed here way before mainstream media picked it up. Today Artificial Intelligence took over. I was stunned to hear what it can do for us, humans. Some people freeze at the idea of all the risks. Every new technology scared the hell out of people. Think of the manifestations against electrical street lighting in the early twentieth century. And, although I do understand the fear I think we cannot surrender to it because we would miss all the opportunities AI is holding for us. This event wouldn’t be possible without my crew Steven Devloo, Marc Daniëls, Fleur Khani and Renaud. I also owe a special thanks the organising partners: the Free University of Brussels, imec, Iminds, the alumni association OSB, HuisvandeMens, Willemsfonds and LVSV Brussel. I also want to thank Peter Van Rompaey for introducing all our great speakers tonight. And off course a special thanks to our speakers Stijn Christiaens from Collibra, Elias Fernández from the VUB AI lab and Nicolas Deruytter from ML6. Please give them all a round of applause. Wilt U op de hoogte blijven? Schrijf je in op onze nieuwsbrief.